Thomas Tuchel expects Neymar and Kylian Mbappe to report for training on Monday as they race to be fit in time for Wednesday’s Champions League clash with Liverpool. 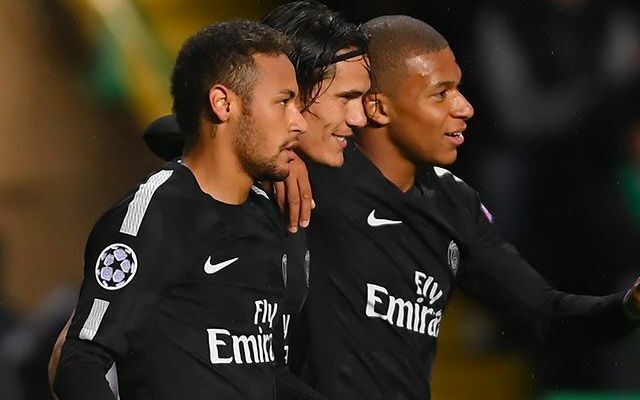 The pair were absent as Paris Saint-Germain extended their perfect start to the Ligue One season with a 1-0 win over Toulouse on Saturday. Neymar played just eight minutes for Brazil in last Tuesday’s 1-0 win over Cameroon before being forced off with a groin injury. Mbappe added to the fears shortly after when he was substituted in the 36th minute of France’s 1-0 win over Uruguay with a shoulder problem. Having both appeared doubts to play at the Parc des Princes in midweek, it seems there is now a chance the pair could feature. “I am more optimistic than yesterday about Ney and Kylian,” Tuchel said, per Goal. PSG will likely gain a more accurate idea of where both are at in their respective recoveries after Monday’s training session. Saturday’s win saw the French champions provide an insight as to how they might lineup against Liverpool without the world’s two most expensive footballers, with Angel Di Maria and Julian Draxler starting as support for Edinson Cavani. That said, it seems increasingly possible Tuchel will have at least two of his usual attacking three reunited come Wednesday. There were few immediate concerns over the severity of either injury at the time and there have since been no concrete signs to suggest the issues have worsened.